Terra Narrativa is the writing studio and roving field school of Shelby Gonzalez, a nature writer and experience designer living in the Ring of Fire. Forever chasing the reverie—the state of being so immersed in something or somewhere that you lose yourself. From Kilauea to the outer solar system, Dr. Rosaly Lopes discovers the forces that shape our planet—and the possibility of life beyond. 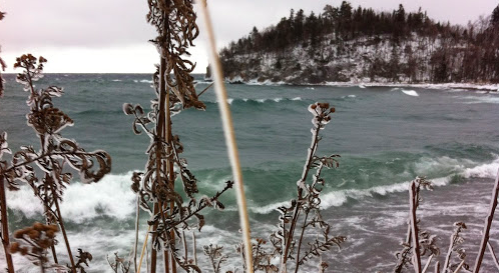 Each fall, as the “witch of November” approaches, this Minnesota community celebrates the power and dangerous beauty of Lake Superior. REI Women’s Adventures are extraordinary journeys for women who want to experience the world—not just see it. Details of next year’s workshops and creative experiences will be unveiled (that’s dramatic-person-speak for “posted on this website”) in November. In the meantime, some teasing.